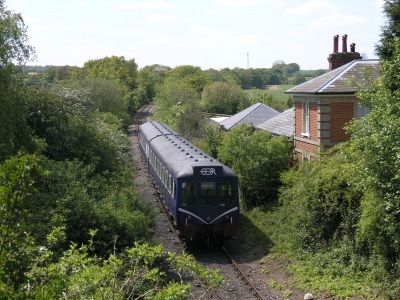 Thanks to the Epping Ongar Railway Volunteer Society a Sunday service has been resumed on the stretch of line that ran beyond Epping to Ongar, originally maintained and run as a shuttle service at the northern end of the Central Line. This is an account of what was seen when I visited on 15th May 2005. 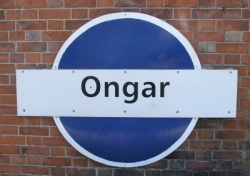 The station at Ongar has been cleaned up and given a new lick of paint since I last visited in 2001. In several places, the society's EOR logo can be prominently seen as can a new roundel on the platform itself, bearing the station's name. 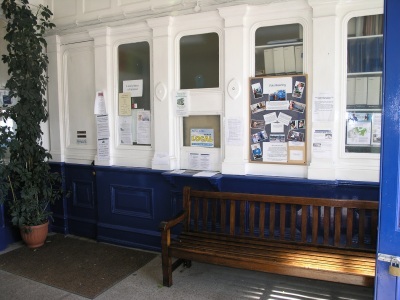 Use of the station's original ticket office wasn't available as this now forms part of the private residence that now occupies the old station building. The sidings at Ongar are being used to store several steam locomotives. 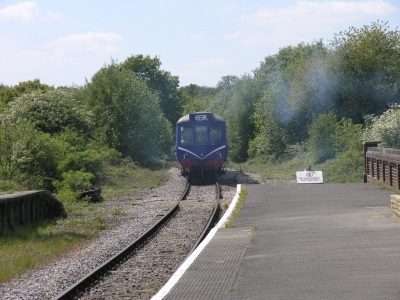 The society have stated that they hope to run a steam powered service in the future, but that would not use any of the locomotives that are currently visible at Ongar as they are too big for such a service. 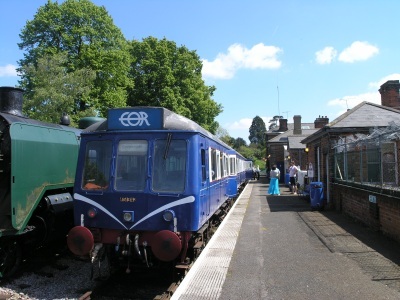 The locomotive that is currently in use to carry passengers is a retired class 117 diesel multiple unit, which has been painted with the society's logo and livery. 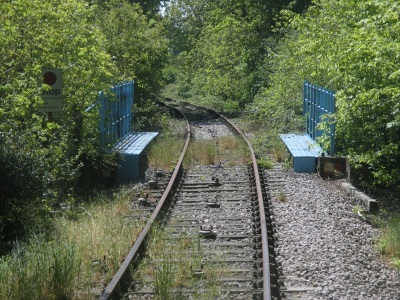 The line exists today in its entire length, in single track form similar to when it was being operated by London Underground, but the traction rails have been removed. 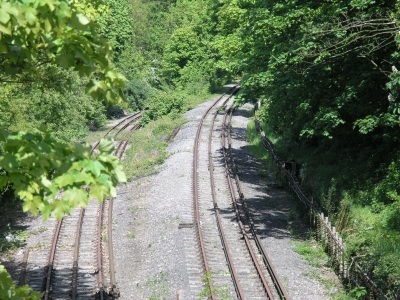 Evidence of the departed current rails can still be seen in places as their holders still exist in places. 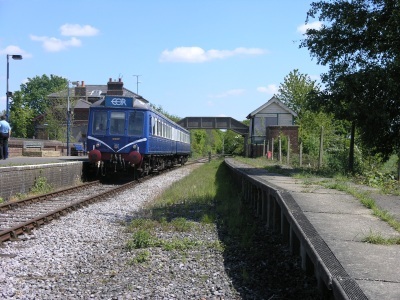 The first of the original stations that the train passes through is Blake Hall. Since this station closed much earlier than the other stations on the line (31st October 1981), little evidence of this location's use as a station can be seen today. The platform has long since been removed, but the station house still remains, now being used as a private residence. Today, this location is best viewed from a nearby road bridge. 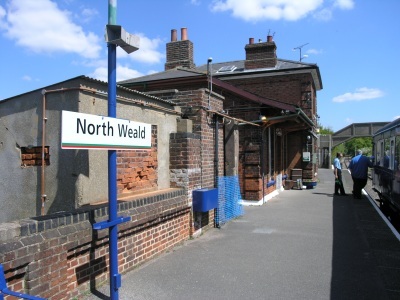 The next stop on the line is North Weald station. 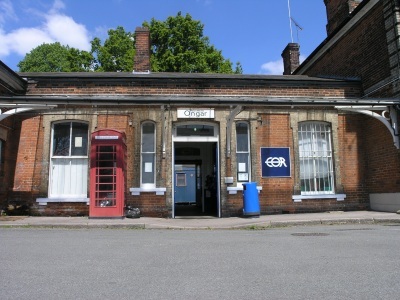 Since this station was in use by London Underground until closure in 1994, this station is in excellent condition. A lot of work has been done by the Epping Ongar Railway Society to make the station look clean and sharp - almost as if it had never been closed! Currently, only one platform is in operation with the second platform and bridge cordoned off as they are currently deemed to be in an unsound state. 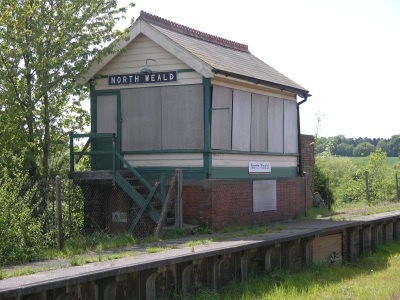 A signal box on the opposite platform still stands, but is also currently in urgent need of restoration. It still contains much of the signalling equipment, but access was currently unavailable due to the unsound nature of the steps leading to the door. This is the only station on the line at present. 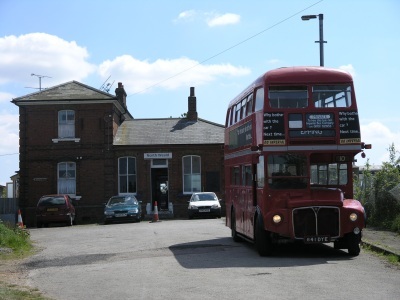 Visitors who wish to travel to Epping can, as part of the ticket price for a ride on the line, travel by vintage bus from North Weald to Epping. On the day I visited, the bus was a Routemaster (a classic London "red" bus). 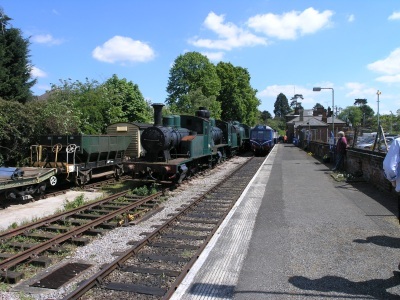 The train ride itself doesn't stop here though - the line continues for a little while longer along it's tree lined route towards its original Epping destination and EOR run the train as far as possible, within a mile of the original Epping platform. At this final destination, near the village of Coopersale, the Society hope to build a new stopping point with picnic areas so that people have two different destinations on the line. 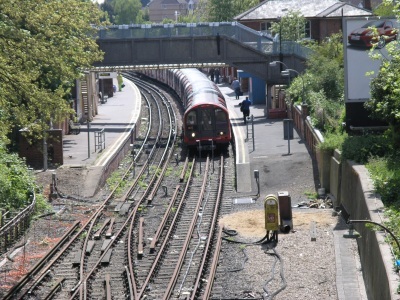 Beyond this simple stopping point, the line continues to run and at Epping station can be seen running all the way into the station itself. Unfortunately it's currently not possible to ride a train all the way from Epping to Ongar as the Society can't run their train all the way into Epping station - but who knows what the future holds? 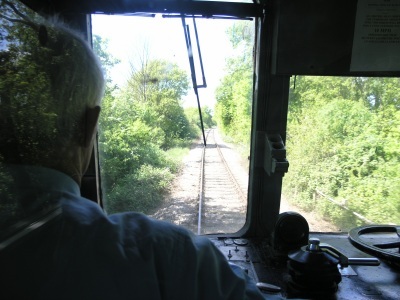 To find out more about taking a trip along this historic line, contact the Epping Ongar Railway Volunteer Society for details. Thanks go to the team of volunteers who run this service who went out of their way to help me take the pictures that illustrate this page. All pictures were taken on May 15th 2005. Grid Reference data for locations given in Ordinance Survey grid reference notation. You can look at online maps from these grid locations by cutting and pasting them into Streetmap. From here you can also see some detailed and informative aerial photographs of the track route. All material on this page is © 2005 Hywel Williams unless otherwise noted.